The Inconvenient Indian, which won the 2014 RBC Taylor Prize, explores the treatment of Indigenous people in Western culture. Thomas King started his career as a photojournalist in the 1960s — that's where he first learned to tell stories through pictures. Many of the photographs he's taken of his friends, fellow artist and activists are included in the illustrated edition of The Inconvenient Indian: A Curious Account of Native People in North America, which blends history and memoir to examine the treatment of Indigenous people in Western culture. This interview originally aired on Jan. 22, 2018. "My brother and I had cowboy outfits because nobody wanted to be an Indian in 1951. I had a couple of friends who were not Native and dressed up like Indians. Maybe it was a cultural thing — if you were white, you wanted to be an Indian and if you were Indian you wanted to be a cowboy. You would rather be on the winning side. I'm not sure things changed that much. One of the things I'm struck by is how, even in a sympathetic western like Dances with Wolves, it's still the white guy who saves everybody. It's an insidious message and I still fight that." "I wanted to put something together where the afterword and the visuals had the same impact. It just so happened that between the time the book was originally written and the time I was asked to do the afterward, the Liberals came into power. I was able to listen to the promises Justin Trudeau made to Native people. Then, the reality set in and you could see he wasn't going to keep the important ones. I was angry when I wrote the afterword with an insert of Trudeau's Raven tattoo. After centuries of not getting much traction on land rights, control of education, control of our own lives, a little bit of anger is bound to set in. I wanted to show that." "If you're going to write about Native issues, don't overstep yourself. There are some non-Native writers who just use native culture as a comic foil with no regard for the culture. Others try to turn our culture into new age stuff, which I don't appreciate. So it warms my heart to see all sorts of Native people in Canada who are writing. I'm very impressed with the poets, fiction and short story writers. It's certainly an inroad into the erroneous ideas people have. Canada has always had a strong Native playwriting community and I just hope it gets stronger because there have to be people that take the place of writers who are getting on in years. We can't have a void that happens behind us." 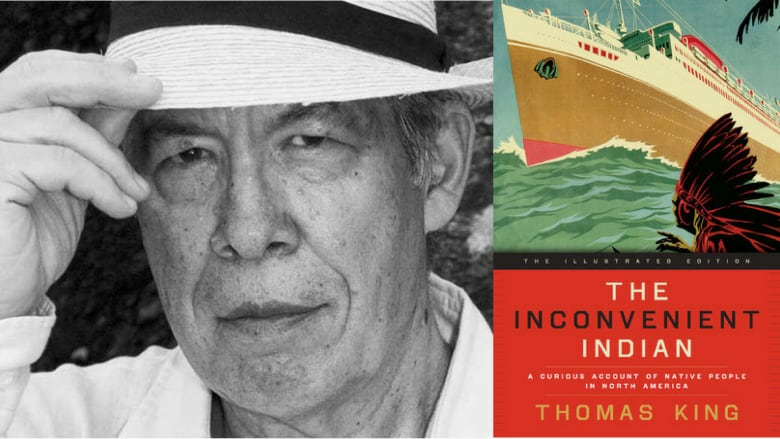 Thomas King's comments have been edited and condensed.